Check out the new Camaro ZL1's traction control and design in the 'behind the scenes' clips. 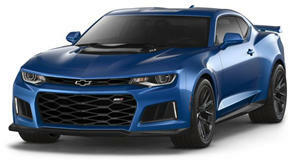 The Chevy Camaro ZL1 is coming in spring 2012. To make sure you don&apos;t forget, Chevrolet is launching a &apos;behind the scenes&apos; campaign to stir up excitement for the most powerful production Camaro ever. In addition to stop-start, the new Chevy Camaro ZL1 features a drag-strip mode. With its supercharged 6.2-liter V8 engine that can pump out 580hp and 556lbs-ft of torque, just hit traction control twice and blast off the line, as seen in the clip below.